So if you want to use Sunset Reports as an alternative to Access, we have made it even easier for you to convert since you can import your report designs from Access (with some limitations). Even if your data is still in Access, Sunset Reports connects to that data very easily. The report designer includes the ability to define styles that can be applied to controls on your report. This saves a lot of time formatting the report since you can apply a style to a control and that applies several formatting properties all at once. It even get better than that. You can change a style after it has been applied and all the controls assigned to that style are automatically updated. 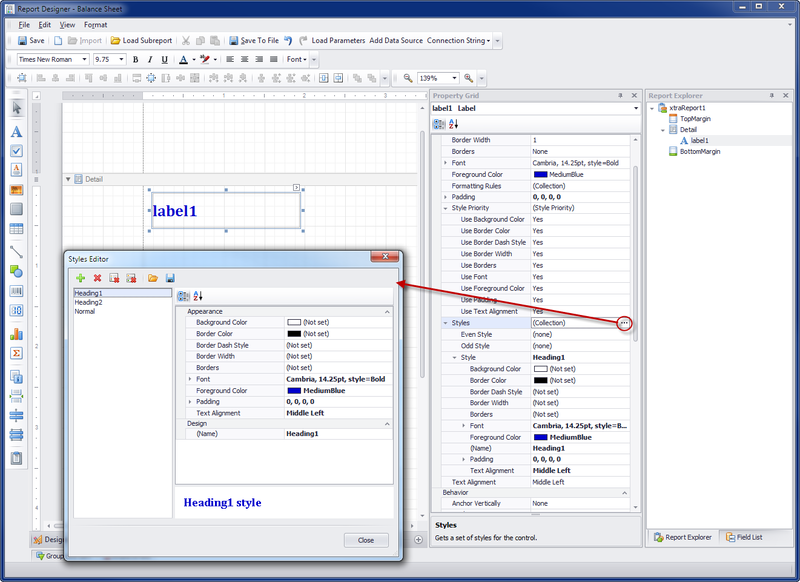 Style lists can be saved to a file and loaded into other reports as well. You can find Free style sheets on our Download page.